There was no Rochester show that year; I went the day before to the Rich Stadium show in Buffalo, and that was it for Western NY, and as a Rochester native and YES fanatic I would definitely remember that they played a show here on the Going For The One tour. 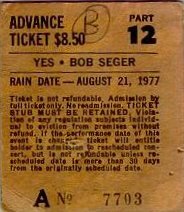 I was looking at the stubs, and I have to admit, I was a little hazy about some of the details, but these ticket stubs shown are for Buffalo the previous day. 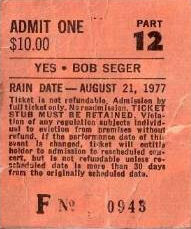 I still have the stub, and I do remember Alto Reed playing on the speaker stacks. If you look closely, the stub says the RAIN DATE is Aug 21st. 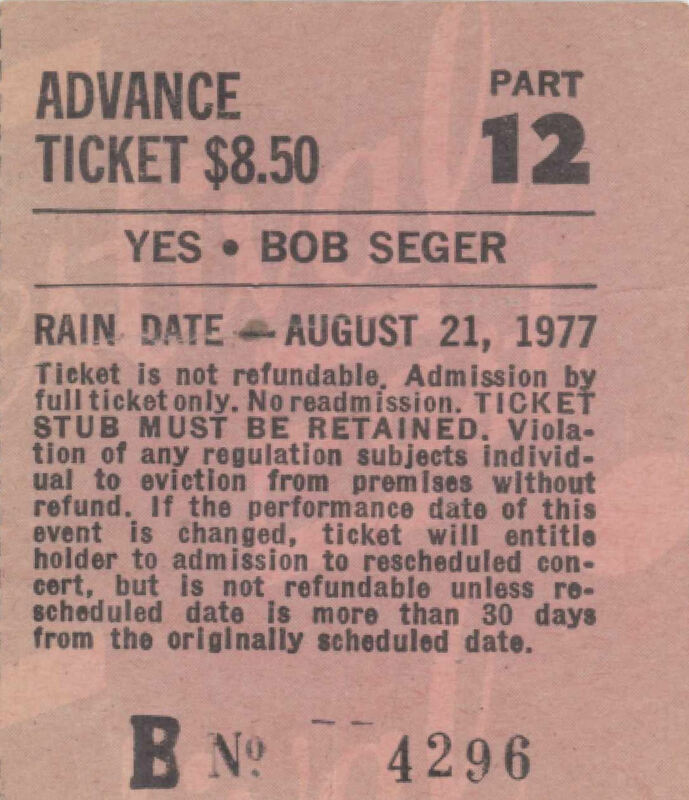 I am positive I was in Buffalo and saw this concert on the 20th of August '77. If you saw it with me, please email me at davebillisa@yahoo.com. This is one of the few concerts that the details escape me. Nancy, I 'm pretty sure you were there.